The time will come when you need to make a wedge shot that calls for a high carry, over a water hazard or bunker, to a tight, tucked pin position. The question is -- do you have the right wedge? If you have the usual 56-degree sand wedge, you might be able to pull it off. However, using a lob wedge -- properly suited to your game -- can definitely make reaching that difficult hole location much, much easier. 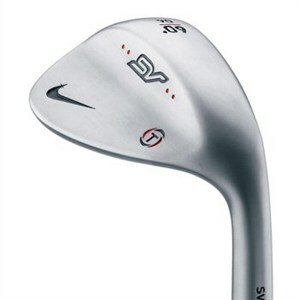 The term Lob Wedge covers any wedge with a loft between 58-64 degrees. Bounce Angle, or sometimes just Bounce, is a measure of the backward/downward angle of the sole of the club as measured from the leading edge to the lowest point on the sole. The problem that many golfers face is the low bounce angle of some lob wedges. The more lofted the wedge -- combined with a low bounce angle -- will literally act like a digging tool and, in the hands of less than an expert golfer, they will end up taking massive divots. Conversely, in the hands of a more experienced golfer with proper swing mechanics and the correct descending blow, a lob wedge adds a measure of dimension and versatility to any short game. If you're planning to buy a lob wedge, here are some simple tips and suggestions. For a novice, try a lob wedge that has no more than 60 degrees of loft. Though it seems counterintuitive, the higher-lofted wedge is actually more difficult to master. I say this from painful, firsthand experience, having jumped into a 64-degree wedge only to find I could hit it correctly about 1 in 20 tries. The second key is to select a wedge whose bounce angle spans from 6 to as much as 13 degrees. The reason here is: the higher the bounce angle, the easier it is to use the wedge since it will not dig into the turf excessively. Also, if you are trying to combine wedge uses, a wedge with a significant bounce angle that is also high lofted can double as a sand wedge for short bunker shots. This advice assumes you already carry at least a standard Pitching wedge (about 47-49 degrees) and perhaps a Gap Wedge (51-54 degrees) which are both a must for beginners. As you will learn over time, having four wedges will become an advantage as your game improves. As an intermediate golfer, your game has entered the range where you can start to look at a little more loft and/or a little less bounce on your Lob Wedge. While there are 64-degree options out there, I would suggest you stick with nothing more than a 60 or 62-degree, but perhaps narrow the bounce to 5-8 degrees. This combination will allow for a bit more versatility in using the club from both tight and fluffy lies (from a tight lie, a lot of bounce on the club is a disaster-in-the-making for anyone other than an expert player). A good choice here is the F2 series, in a 60 degree. It is equipped with their Face Forward technology that lets you forget about topping/skulling the shot or shanking the ball off the hosel. One of my personal favorites -- and one that is always in my bag -- is the Cleveland 588 series; I carry the 58-degree with 6 degrees of bounce. These are available in a variety of loft/bounce combinations. A little experimentation to find your perfect fit is always a good idea. Your choices are nearly without limit as an expert golfer, and adding a 64-degree wedge is certainly within the scope of your ability. Again Cleveland makes a version, as does TaylorMade, Titleist, Callaway, Ping, and many others in the premium club category. For the more budget-conscious golfer, Pine Meadow and Hi-Lob make decent options as well. With a 64-degree wedge, you can expect to see a maximum carry in the range of about 75 yards. The high-lofted wedge allows the expert golfer to maneuver shots into very tightly tucked pin locations and to get the ball up and down when short-sided near the hole. Unlike the Intermediate player, you’re now able to use a lob wedge with nearly any bounce angle. Your swing and ball contact are probably sufficiently advanced as to avoid taking a huge divot and "laying the sod over the ball." Secondarily, by manipulating the club face open, you can actually create bounce from many lies giving you an even more versatile club for your bag.